UPDATE: 6:50 p.m. EDT -- More responses emerged Friday evening after a leak of a draft encryption bill by Sens. Dianne Feinstein, D-Calif., and Richard Burr, R-N.C. 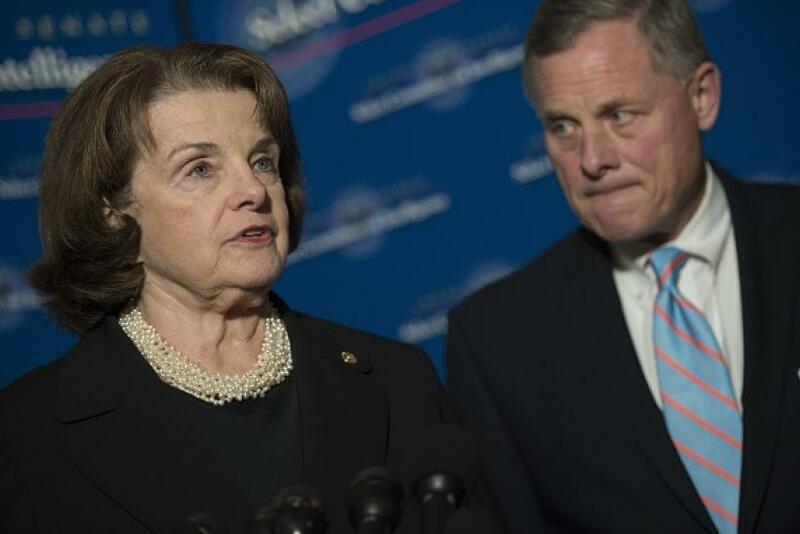 I could spend all night listing the various ways that Feinstein-Burr is flawed & dangerous. But let's just say, "in every way possible." Burr and Feinstein stressed Friday that they were still working to finalize the bill. The first major piece of legislation of the post-San Bernardino era has been drafted, and it’s guaranteed to make no one in Silicon Valley happy. The long-awaited draft encryption bill from Sens. Dianne Feinstein, D-Calif., and Richard Burr, R-N.C., ranking members of the Senate Intelligence Committee, leaked Thursday night and immediately set an extreme starting point for a battle over encryption that will rage across parties and between lobbyists representing law enforcement and the tech industry in the coming months. The draft bill, dubbed the “Compliance with Court Orders Act of 2016,” boils down the complex issue of encryption to nine pages. The bill is the first major piece of legislation to emerge after the San Bernadino attacks and the ensuing battle between Apple and the FBI over access to an iPhone 5C that was used by one of the attackers. The FBI subsequently dropped its case and said it had acquired technology that allowed it to break the password protection on that device. It has not yet said whether anything was found that will further the investigation. The draft bill does specify that it is not allowing the government to mandate design features in tech products such as a backdoors, just that they must provide the information somehow. It does, however, prohibit features that would keep them from complying with a court order, such as Facebook’s WhatsApp, which now has end-to-end encryption, meaning Facebook cannot provide the contents of messages, even if compelled to do so by a court. The Information Technology and Innovation Foundation, a think tank, attacked the bill for creating a legal paradox: It explicitly states it does not mandate design changes, yet to comply any company with encrypted products would have to make design changes. The organization said Whatsapp "would not be able to comply with the legislation, unless it modified its system." Silicon Valley was quick to respond that building backdoors into systems is ultimately unworkable and will make citizens vulnerable. “The truth is backdoors would be accessible to more than just the government. We don’t need to help criminals and hackers steal our data,” said Dave Wagner, CEO of email encryption provider ZixCorp. “However, the underlying goal is simple: When there’s a court order to render technical assistance to law enforcement or provide decrypted information, that order is carried out. No individual or company is above the law,” the senators said in a statement. To be sure, a draft bill is a starting point, and it could change a great deal before it gets to committee, let alone put up for a vote. The White House has signaled this week it will not support the bill in present form. But it does dovetail with the view of FBI Director James Comey, who told an audience at Kenyon College earlier this week there must not be subpoena-proof areas of communication, and that expectation of privacy is unrealistic. The Department of Justice declined to comment on the draft bill. Manhattan District Attorney Cyrus R. Vance, who has been critical of Apple's stance on locked iPhones, threw his support behind the Feinstein/Burr bill.